Homosassa native Ashley Young grew up in Citrus County and is coming home for the Manatee Festival! Sophie grew up in Central Florida, where she still resides. Her first live performance, at age 8, included the American National Anthem and Canadian National Anthem for the Tampa Bay Lightning in front of 19,000 people. She never looked back! At age 9, she had the privilege to open for a Blood, Sweat & Tears concert and sing for several professional sports teams in Florida. She mainly accompanies herself with her guitar, with a few piano/keyboard songs sprinkled throughout her live shows. While Sophie performs several genres of music, from Etta James to Cheap Trick, she remains loyal to her true love: country music. Sophie adds a little country flair to most songs she performs. Taking Anderson is an Electric/Acoustic guitar duo comprised of Garrett Manning and Eric Tremante. They’ve been playing together for a decade now and pride themselves on their versatility. Together they can play almost every genre of music, which gives them the ability to please any audience. Taking Anderson provides music for many social events around the community, many of which are for the Citrus County School system, as they are both Citrus County educators. Most notably, they were back-to-back winners of the Citrus County Education Foundation’s “FoundationFest” Battle of the Bands. They are best known for their musical “mash-ups” and their ability to play for hours on end without stopping. Their motto is “We are Taking Anderson, not Taking Breaks”! Trinity Ann is a 14 year old homegrown country singer from Citrus County, who began singing along to radio since she was able to talk. She has performed the National Anthem for the Florida Gators and has performed at venues, such as the Opry, ICE and Gaylord Palms. Locally, you may have heard her perform at the Citrus County Rodeo and Homosassa Springs State Park Celebration of Lights and many more. Music is her happy place. You can find her on YouTube - Trinity Ann Martinez. The Acapella Quartet, 4 the Fun Of It has been singing barbershop music together for 9 years. They perform at birthday parties, women's clubs, and various other venues. They even do singing Valentine's! They are from Citrus, Hernando and Pinelles counties. Voted Ocala Magazines BEST OF THE BEST Local Musician in 2017, Jeff Jarrett returns to the Florida Manatee Festival after a great performance last year. Back for the third straight year, he will have you singing along in no time with his awesome mix of today's hits and yesterday’s favorites. His passion for music, vocal range, and great stage presence always make for an entertaining performance. Having played hundreds of shows across the State of Florida in 2017 and 2018, Jeff is always a popular entertainer that comes with his own following. The Dan Story band formed in 2004 to support two singles: "Every man needs a rock," which singled nationally, charting on Music Row & was later re-released in the Christian market, charting at #9; and, in 2006, "Drunk Dialin" which charted at #92 on Music Row. Over the next 12 years, the Dan Story Band played mostly the Florida club scene. From the east coast to the west, Dan played the larger venues in the state, making lots of new friends and fans while opening for icons such as George Jones, the Charlie Daniels band and many other national acts. 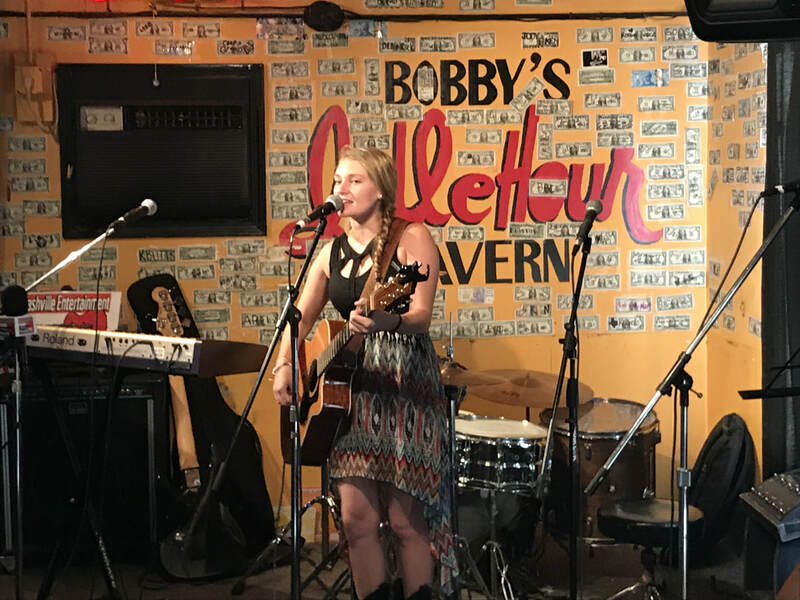 10 a.m. - 1 p.m.: Sarah Miller aka "June Tunes"
Sarah Miller was born in Citrus County and is currently a 17 year-old senior at Crystal River High School. She started playing violin at age four until age ten when she decided that the violin was not for her. She then picked up the guitar and eventually the ukulele which she started to write her own songs on at age 12. She made herself a brand with the name “June Tunes” at age 16. Her aspirations include having her own music professionally produced and released as well as performing for thousands of people. She wants to send a message through her music that mental disabilities such as depression, anxiety, and schizophrenia should not be looked at as an illness to cure, but as a characteristic to one’s person. A dream doesn't become reality through magic; it takes sweat, determination, and hard work. 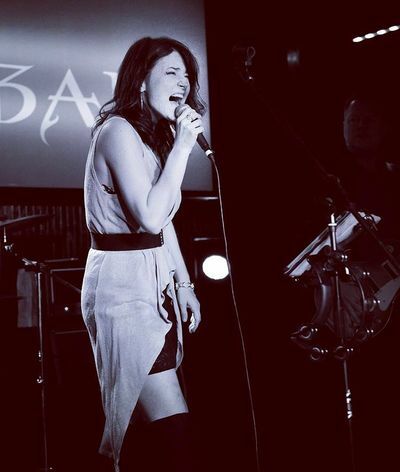 Emily Foster is a 14-year-old aspiring singer who puts in the sweat and hard work and is gaining momentum in the magic. She recently began performing at Inverness' local coffee shop, Cattle Dogs, to showcase her talents. She has been practicing Piano for less than two years and has also been taking private singing lessons since April of 2016. Singing at the Manatee Festival is a dream come true. She had the opportunity to sing with Amy Gerhartz, a prior headliner of the Manatee Festival at a private party only a few short years ago. Emily, a Citrus County native, attends Crystal River High School. She attributes her successes to the love and support of her family and five siblings. Her long-range dreams include marrying Ashton Irwin of 5 seconds of Summer and figuring out a cure to free her haunted hoverboard. The Acapella Quartet, ​4 the Fun of It, has been singing barbershop music together for 9 years. They perform at birthday parties, women's clubs, and various other venues. They even do Singing Valentine's! They are from Citrus, Hernando and Pillellas counties.